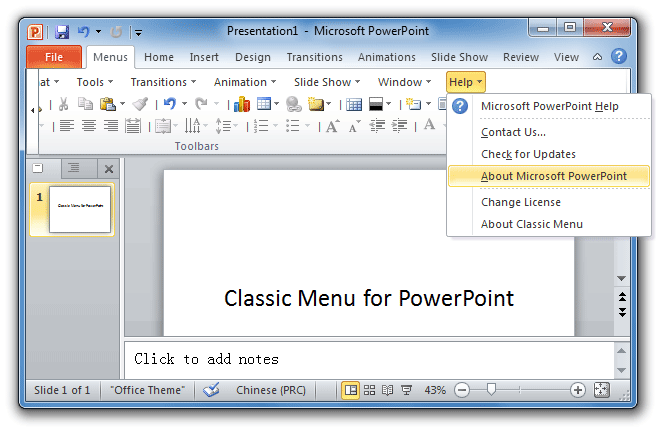 Then you will view the About Microsoft PowerPoint item. Click this item, and you will get into About Microsoft PowerPoint dialog box. In the right section, you will view About Microsoft PowerPoint info. 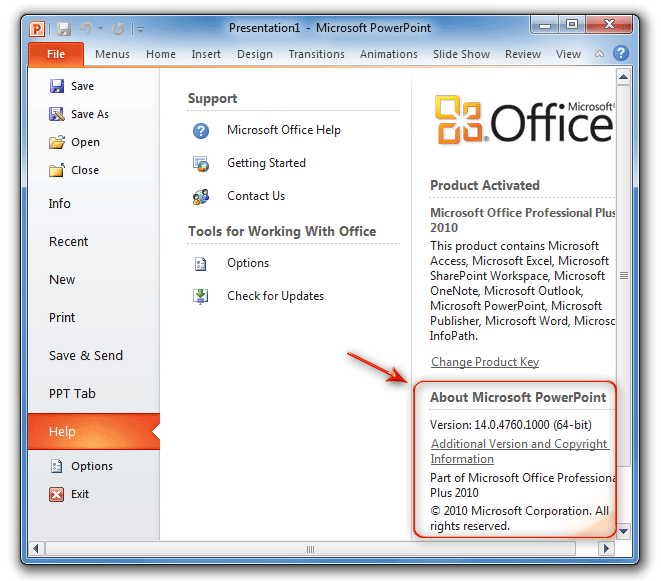 In this section, you can view the PowerPoint version, Office Edition (32-bit or 64-bit), and Product ID. Then you will view the About Microsoft PowerPoint 2007 section and About button.